Ashok Leyland Ltd posted a net profit of Rs 334.25 crore during the quarter ended September 30, 2017, up by 14 per cent from Rs 294.4 crore registered during the same quarter of the previous financial year. Total income grew 23.45 per cent to Rs 6,102.55 crore during the quarter compared to Rs 4,943.23 crore during the corresponding period of the previous financial year. 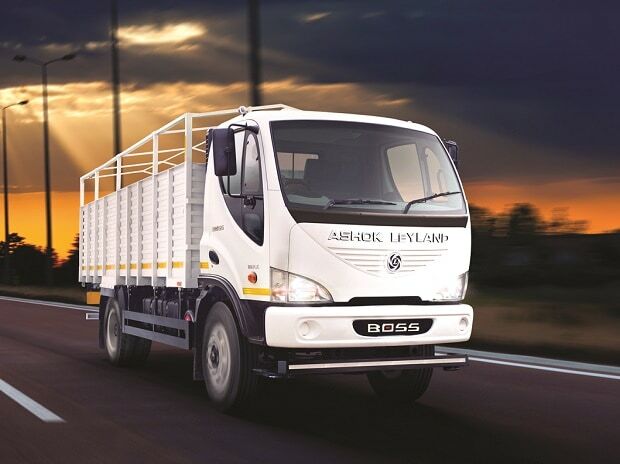 Ashok Leyland Managing Director Vinod K Dasari said, "It has been a satisfying performance. Despite all the challenges, our robust market share growth exemplifies the technological leadership of Ashok Leyland." To support the rapidly growing network of customers, the company has invested in the digital marketplace, he added. "Our financial performance continues to be robust. The best part about Ashok Leyland's initiatives is the strong customer focus even as we drive financial performance," said Gopal Mahadevan, CFO, Ashok Leyland. He added that the working capital continues to be in control and the debt-equity ratio for the quarter was at 0.35:1. The company will continue to pursue profitable growth, he said. The export volumes increased 39 per cent during the quarter to 4,437 units. Domestic medium and heavy commercial vehicle (M&HCV) sales increased by 22 per cent, while the volume of light commercial vehicles increased 18.4 per cent to 9,588 units as against 8,100 units during the same quarter of the previous financial year, said the company. The results of this year include the financial performance of the foundry division.